A closer observation of an internal combustion engine will reveal core holes. The cores act as coolant passages. What is used to fill these sand casting cores are core plugs or freeze plugs. The freeze plugs are often made of metal (sometimes plastic), and they are friction fit into the core holes. 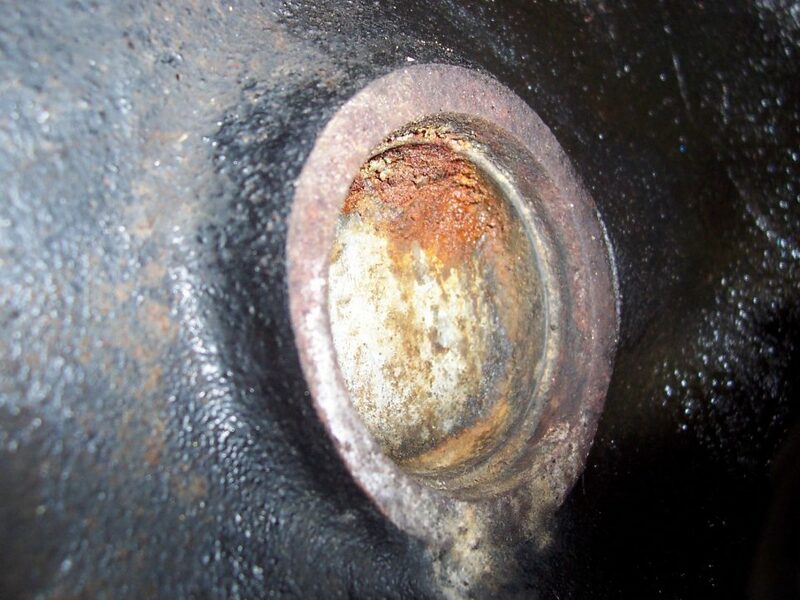 With time, the core plugs will leak due to corrosion from the cooling water system. They will then need to be removed without damaging the engine block. It is vital that one finds the right freeze plug removal technique. This technique will not work for the extremely corroded freeze plugs. To start with find a hammer, some channel locks pliers and a flat tip screwdriver. Place the flat end of the screwdriver inside the freeze plug and hit with a hammer until the “eyelids” are elevated and sticking out. Be careful so you are not pushing the freeze plug into the engine, then you have some problems. Hit it at the side of the freeze plug. Use your lock pliers to remove the freeze plug. This is the easiest way to remove the freeze plugs is to use a plug remover. This device enables one to drill a hole in the middle of the freeze plug. You can then remove it. There are some other special devices which you do not have to drill a hole into the freeze plug also, but these are often more expensive. One tool kit that we found really useful and high performance, is this one from Amazon. If the freeze plugs have a very tiny hole in them, it is not necessary to replace them always. You can use a liquid block seal to seal the hole. However, this is a temporary solution as you can clog something else in the cooling system and eventually you will be forced to replace all the freeze plugs. There are those freeze plugs that may necessitate you to remove the engine block or are hidden by the transmission. Expanding replacement freeze plugs have some special material in them that expands when the plug is tightened. The best are those made from copper. This is best for hard to reach areas around the engine block. What causes freeze plugs to leak? Modern internal combustion engines come with a cooling water system. An engine’s combustion ratio determines how efficient an engine is. But, with a high compression ratio comes with high engine temperatures. The cooling water system helps cool the engine and prevent damage on the piston rings and valves. Other components to this cooling system include the radiator, connecting pumps, transmission cooler, and heater core. There moments when this cooling system is exposed to very low temperatures that the water is running in the cooling system freezes. Frozen water expands, and this causes unnecessary tension on the connecting pipes and the freeze plugs. You can find an anti-freeze solution to lower the temperature at which the water in the cooling system freezes. Freeze plugs are supposed to pop out whenever water freezes in a car’s cooling system. However, this rarely happens, and this can result in a damaged engine block. Before any freeze plug removal procedure, it is vital to understand why freeze plugs are there in the first place. The engine block is made of a sand cast. An engine die is made and pressed onto a special type of sand. This creates an impression of the engine block which then molded together using molten iron. This procedure makes engine blocks to be very strong and durable. You will notice some cylinders on the engine blog. The freeze plugs are used to close these holes. 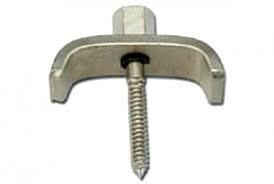 The challenge of using freeze plugs is that they are made from very thin metal – galvanized steel. With time the freeze plugs are susceptible to rust. If you have some anti-freeze solution in the engine block, you should not experience problems with expanding freeze plugs. However, many people are not aware that they need to use anti-freeze solutions to protect their freeze plugs. Instead of using anti-freeze solutions some people use brass freeze plugs. These are more expensive but have the added benefit of being rust-free. How do you know that your freeze plugs need replacement? The first sign of faulty freeze plugs is when your vehicle starts leaking coolants. A pinhole freeze plug leak will cause you to have a slow cooling system. You will find most of the freeze plugs on the side of the engine block – through one or two maybe hidden between the transmission and engine block. The later may require you to have a mechanic nearby because you will be required to dismantle the transmission to reach them. You will know that you have leaking freeze plugs if you notice droplets of water leaking from the side of the engine block. If you live in areas where temperatures go to sub-zero, it would be wise to have engine block heaters. The heater is used in place of the freeze plugs – have the same diameter with the key difference being a 110-volt cord that is attached at the end of the plugs. When temperatures are extremely low the freeze plugs will heat up and prevent the engine block from freezing water. However, you still need to use an anti-freeze solution because the radiator still has cold water. Freeze plugs are identified on the engine block as small depressions. They are vital to prevent the engine block from destruction when the water inside the engine block freezes and expands. The freeze plugs will “pop off” whenever this happens. 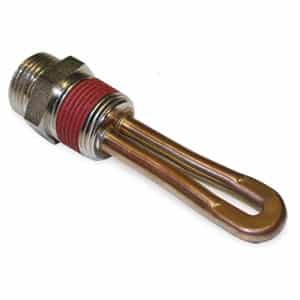 If you have an anti-freeze or have engine block heaters, you do not need to worry about leaking freeze plugs. Freeze plugs are susceptible to rust, and this can cause leakages. Freeze plug removal is not easy because there are some plugs that are located deep in the engine block between the transmission. These may require you to dismantle the engine for replacement. The most common way to remove the freeze plugs is to use a flat screwdriver, clipper/pliers and hammer. In the procedure hit the freeze plug in the center until they pop up from the engine block. Use the pliers to remove them. A freeze plug removal tool is also available – with the tool you can drill a hole in the middle of the plug and then pull it out.